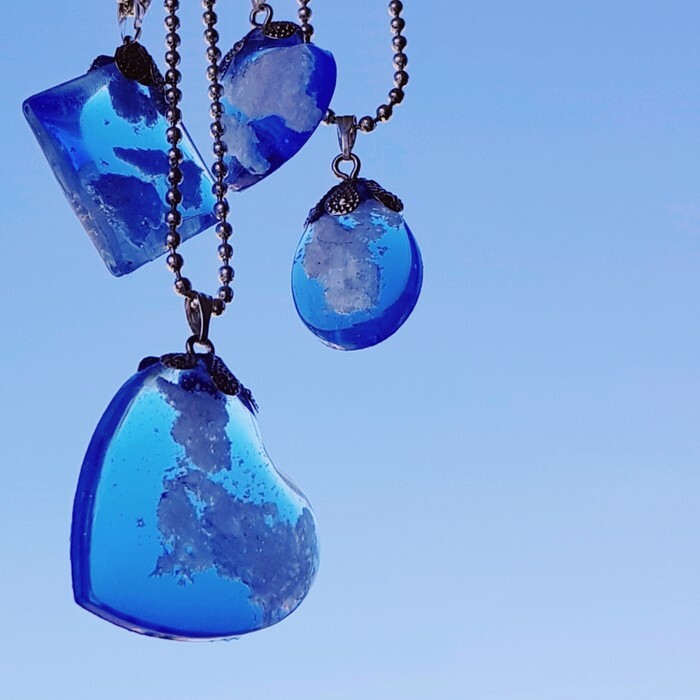 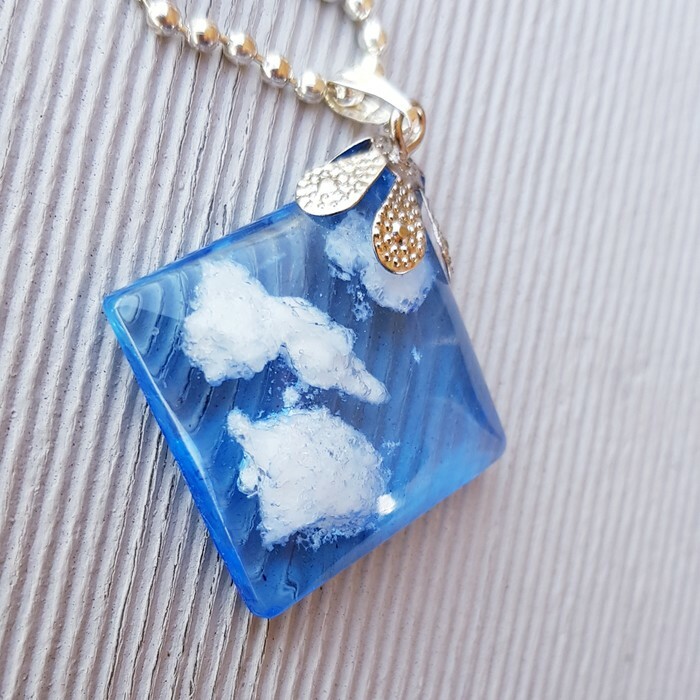 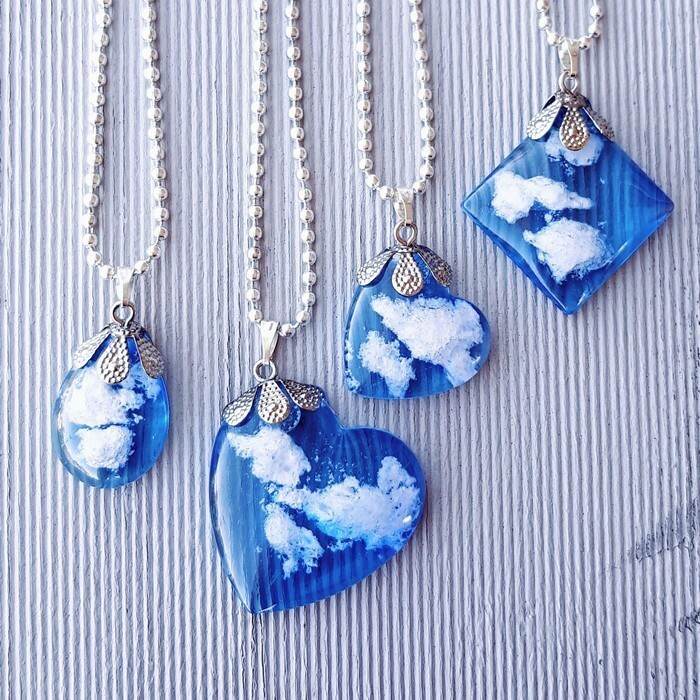 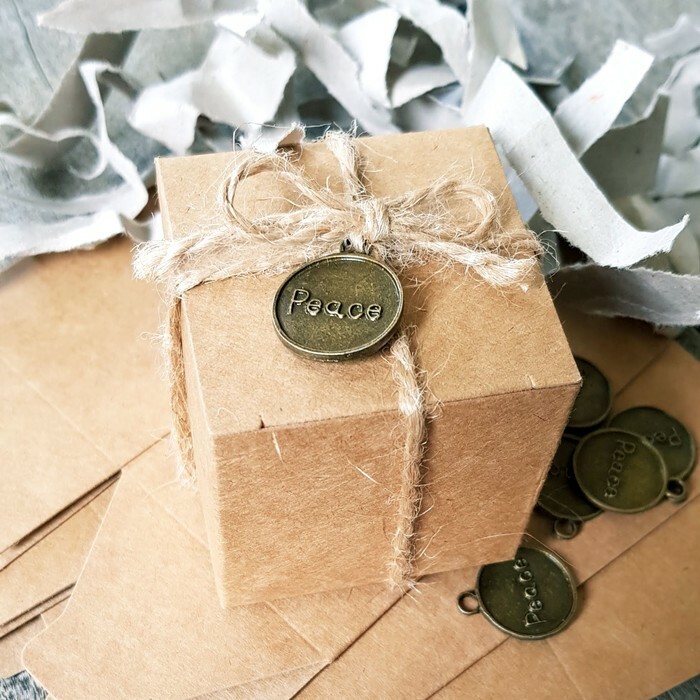 ICrystal clear sky pendant in radiant blue with fluffy white clouds hand picked and carefully encased in resin for you! 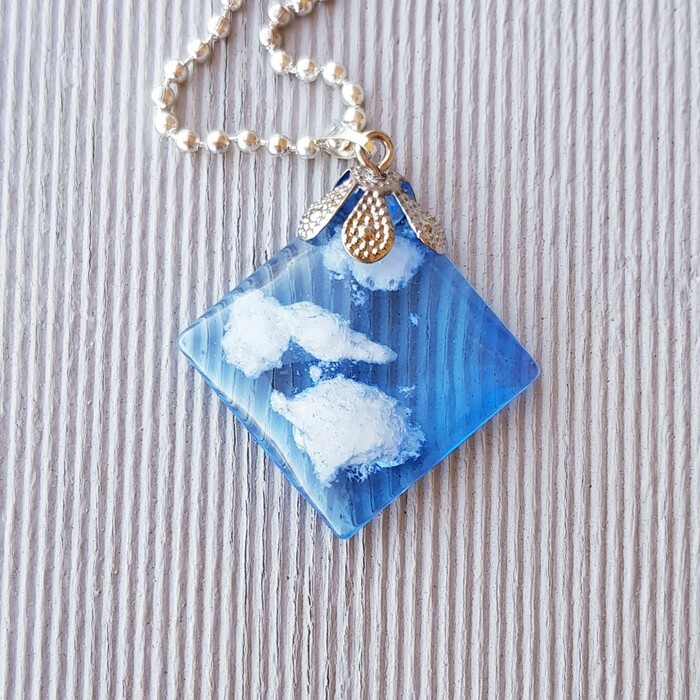 *square cabochon about 25mm across. 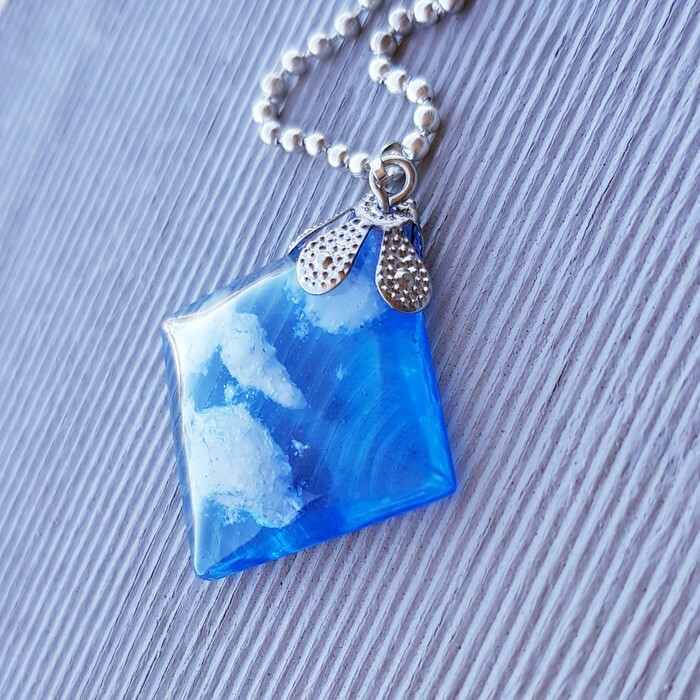 can be shortened on request.